The Iguazu Falls, located in Iguazu National Park, are Iguazu River waterfalls, bordering both Argentina and Brazil, and named one of South America’s Natural Wonders of the World. Starting August 2019, visitors will be able to fly to Iguazu (Argentina) with Air Europa to experience the vision of the 275 waterfalls bursting into a torrent of crystal-clear water, before flowing down a cliff in the Paranaense forest – an absolute must-see! 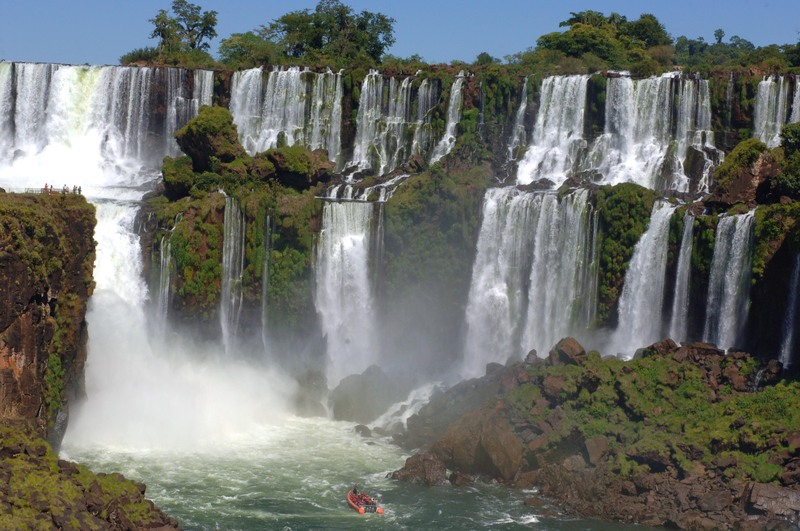 Iguazu National Park can be visited all year round, as the country’s subtropical weather is characterised by hot and humid summers and mild winters, although the best time of year to visit is between December and March when the river’s flow rate is at its fastest. One of the most famous spots in Iguazu National Park is the Garganta del Diablo waterfall. This set of waterfalls is some 80 metres tall and can be seen from hundreds of kilometres away, offering the opportunity to witness a magnificent natural spectacle. The main highlight is, however, without a doubt being able to stand a mere 50 metres away from the waterfall to enjoy the views along a 2-kilometre-long walkway, which was purpose built so that people could admire this natural wonder – even city lovers will stand in awe! Once a month, Iguazu Park opens at night so that visitors can see Garganta del Diablo in the moonlight, as well as the colour-changing moon, which goes from orange to white. An unmissable experience! There are two choices of path leading to the waterfalls: one leads to the front of the seemingly never-ending waterfalls in all their glory and ends up right beneath the falls, with the chance to see countless toucans, macaws and coatis (a member of the racoon family) along the ways; the second path (upper walkway) leads to the footbridges, where you get to enjoy panoramic views of the waterfalls from Iguazu Superior River. Iguazu Falls is without a doubt the perfect destination for nature lovers and a unique spot to visit at least once in your lifetime! 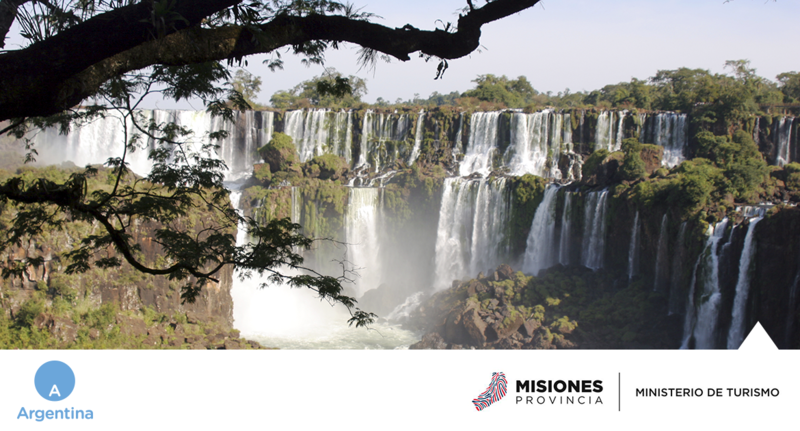 Twice weekly flights to Iguazu with Air Europa are starting August 2019, book your flights now!